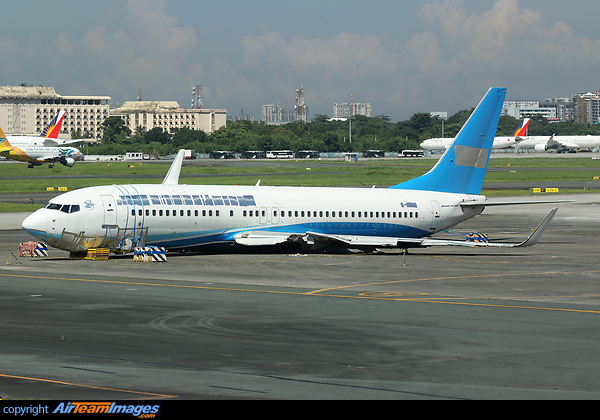 Xiamen Airlines Boeing 737-800, registration B-5498 performing flight MF-8667 from Xiamen (China) to Manila (Philippines) with 157 passengers and 8 crew, had gone around from low height on first final approach to Manila's runway 24 due to weather, positioned for another approach and continued for a landing on runway 24 but went off the left edge of the runway and came to a stop on soft ground with the left main gear collapsed and the left engine separated from the wing. The aircraft was evacuated via slides. No injuries are being reported, the aircraft however received substantial damage.